Developed both in-house and through partnerships. Hot on the heels of its Diablo Immortal announcement, Blizzard has confirmed it has mobile projects in the works for multiple franchises. During a BlizzCon Q&A session [posted to Reddit], executive producer Allen Adham discussed the company's philosophy towards the mobile platform. "In terms of Blizzard's approach to mobile gaming, many of us over the last few years have shifted from playing primarily desktop to playing many hours on mobile, and we have many of our best developers now working on new mobile titles across all of our IPs," said Adham. "Some of them are with external partners, like Diablo: Immortal; many of them are being developed internally only, and we'll have information to share on those in the future." 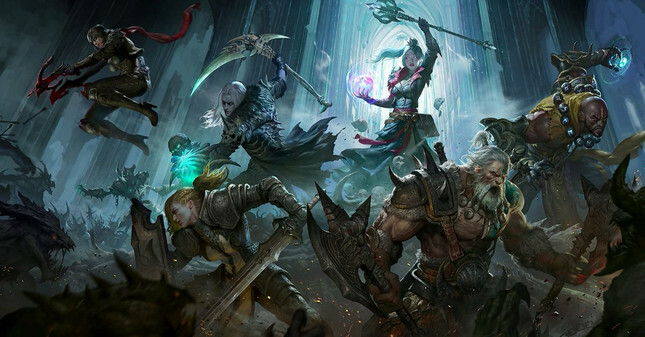 The announcement of Diablo: Immortal was met with an immediate backlash from fans, who had been lead to believe the announcement of Diablo 4 would be happening instead. Part of the outcry from the community was due to resources being dedicated to a mobile title, despite much of the work coming from a partnership with developer NetEase. Confirmation that mobile titles are in development within Blizzard Entertainment are unlikely to assuage the concerns of those in the community. Adham did offer some solace, noting that "we have more new products in development today at Blizzard than we've ever had in our history and our future is very bright."